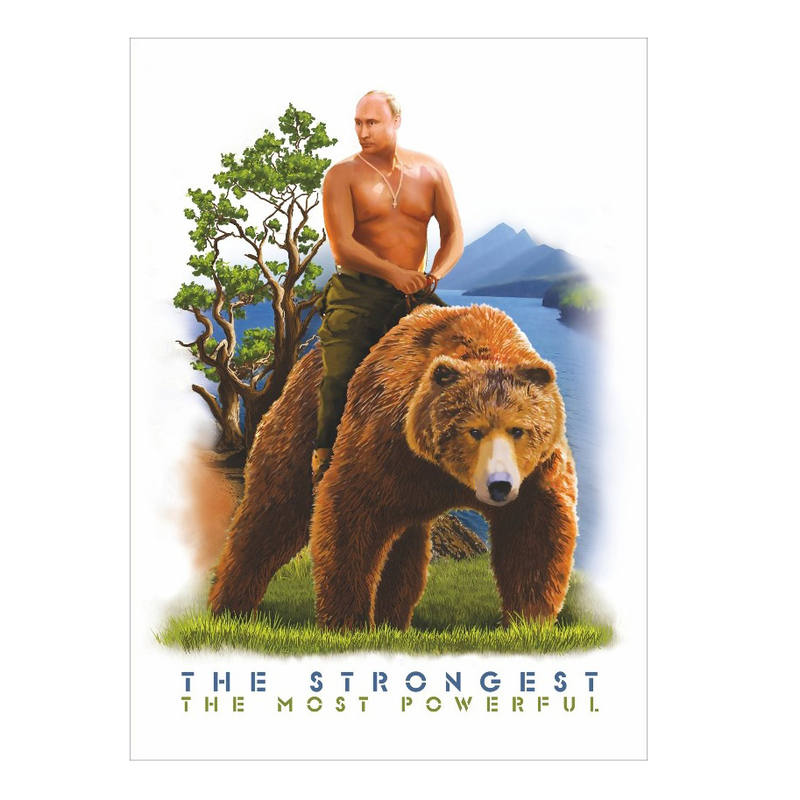 The Strongest The Most Powerful Vladimir Putin Magnet (small), 2.5" x 2"
Magnet with the portrait of the President of the Russian Federation Vladimir Putin depicting him riding a bear and an inscription "The Strongest. The Most Powerful". A great and universal present to every occasion. Vinyl Matryoshka Refrigerator Magnet, 4.5"
Metal Magnet with Two Headed Imperial Eagle (bronze), 2.5" x 2.5"
The President of Russia Vladimir Putin Magnet (big), 3.1" x 2.1"
Metal Magnet with Two Headed Imperial Eagle (pewter), 2.5" x 2.5"
Vladimir Putin Image Changing Magnet, 3.5" x 2.4"
Despicable Me Minion Character Wooden Key Chain, 1.5"
Vladimir Putin Fishing Image Changing Magnet, 3.5" x 2.4"